Does Hell’s Angels Stand Up to the Thompson Hype? I’ve never been a part of the drug culture and certainly never been fascinated by it. I get no vicarious thrill reading about or seeing people like Thompson putting lipstick on what I clearly view as a pig. I have seen the effects of drugs on people. I have seen the lives of the “edge of society” crowd. In the reality I have witnessed, it is not something to be revered nor promoted. So for those reasons, you will understand that I am quite biased. Forgetting about the subject and focusing on the book itself, I get it. 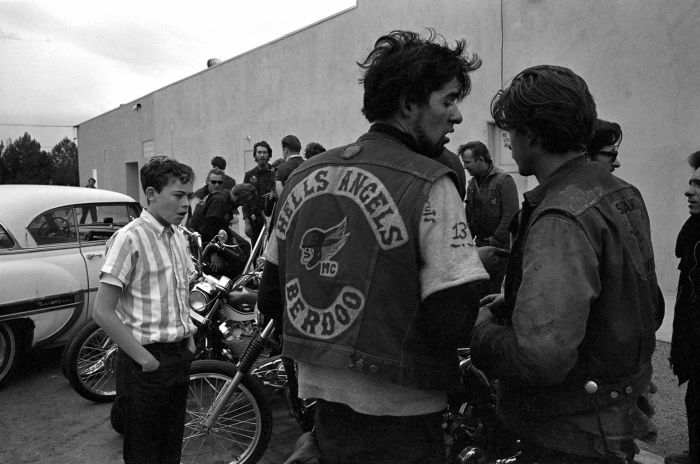 I can see how it could completely shock and titillate readers in 1967 as it exposed this world to a group of clean-cut “normals.” The public’s knowledge of the Hell’s Angels was derived from hyperbolic newspaper headlines and “then” gritty movies. To hear Thompson’s take was affirmation that these were “bad dudes” but also completely misunderstood. It reads almost like he was suffering from a Stockholm Syndrome caused by his close association with the bikers. Did anything in the book shock or titillate me? Maybe just how tame was? Maybe just the constant feeling of how separate we are from the lost innocence of the 1967 world that found this book such a thrill? Don’t get me wrong – these bikers did some bad things and were genuine outlaws. I am just saying that the Hell’s Angels and other groups today are much more violent and news about bad happenings is no longer shielded from the public. 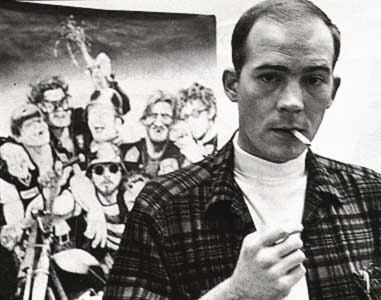 The Hunter S. Thompson persona too, has become bigger than his books. You can see it in Hollywood’s take on the books – the story they tell seems more about Thompson than the his subject matter. It is more about showing how revolutionary he was than anything else. This all started with Hell’s Angels because somewhere along the line, the book switches from a third-person observation to a day-in-the life first-person telling. I have to say that I do really like his writing style. It is a conversational style that reminds me of… well, this. I write in a relaxed style too – you know, just as if we were sitting on the porch talking. 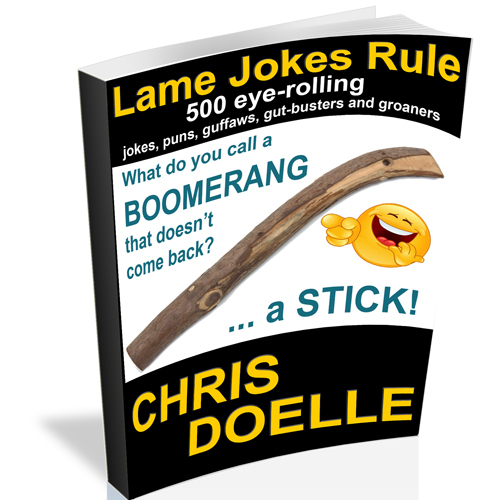 For that reason, it is a easy book to read. It reads like a well-done documentary – not the stodgy old codger narrated type, but the conversational, Ken Burns style. Thompson reports the story with powerful verbs and descriptions that put you in the scene – not from a helicopter viewing the scene, but standing on the ground next to all the action.